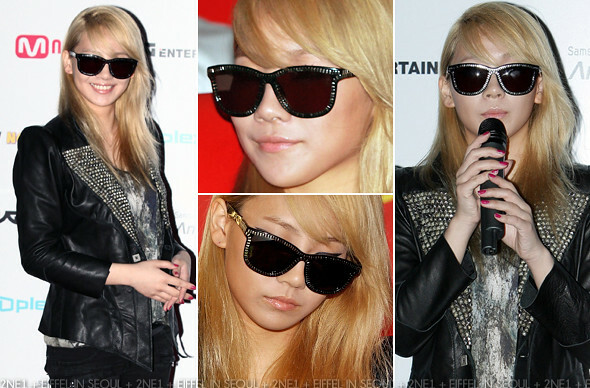 2NE1's CL (이채린) is well-known for her huge sunglasses collection. She also confessed that she can't live without them (which I thought it was some celebrity-disease). 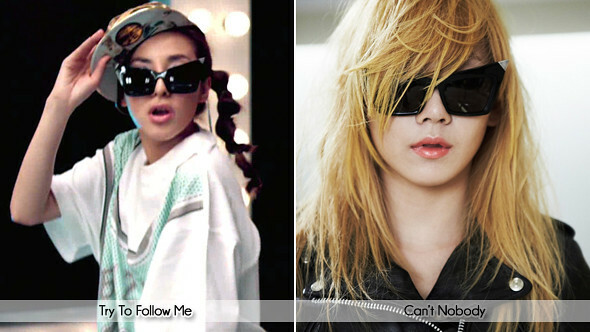 In 'Try To Follow Me' as well as 'Can't Nobody' music videos, Sandara Park (박산다라) and CL (이채린) were seen wearing Alexander Wang x Linda Farrow Cat Eye Sunglasses. At the recent fansign, CL (이채린) was spotted wearing another pair of sunglasses from Alexander Wang x Linda Farrow collaboration, the Zipper Sunglasses. The sunglasses are available for purchase on lindafarrow.co.uk. this CL, she's cute! needs to put on more weight and she can be my girlfriend.